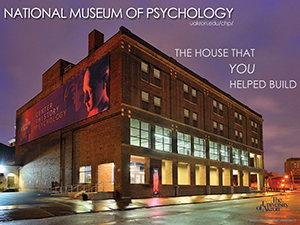 Grand Opening of the National Museum of Psychology! and studies of gender, race, and social learning. Also featured a rotating gallery, curated by students in the Center’s Museum and Archives certificate program. The Museum will be open regularly starting June 28 on Tuesday, Wednesday, Friday, Saturday from 11-4 and Thursday from 11-8. The National Museum of Psychology is part of the Drs. Nicholas and Dorothy Cummings Center for the History of Psychology at the University of Akron, which also includes the Archives of the History of American Psychology (be still my heart!). National Museum of Psychology Kickstarter Coming April 13th! As we mentioned previously on AHP a special IamPsyched! Museum Day Live exhibit is planned for March 12th at the APA Capitol View Conference Center. The event, “Inspiring Histories, Inspiring Lives: Women of Color in Psychology,” is a collaboration between the American Psychological Association Women’s Programs Office, the Cummings Center for the History of Psychology at the University of Akron and Psychology’s Feminist Voices Oral History and Digital Archive Project, in partnership with the White House Council on Women and Girls. The initiative aims to “immerse museum-goers in the histories of women of color in psychology and their legacies for contemporary psychology.” The event will feature a curated, interactive exhibit, a live-streamed interactive discussion, and empowering activities for girls. Full details can now be found on exhibit’s webpage. In advance of the big day you can also join in the social media excitement by pledging your support on Twitter, Facebook, or Tumblr through Thunderclap. This platform allows social media postings to be pre-scheduled and unleashed all at once, like an online flash mob. When you sign up to share the IamPsyched! message, it will automatically post just this one message on your behalf. Go here to schedule your Tweet or Facebook post now! AHP is pleased to announce the launch of a rich new web resource: the Museu de História das Neurociências Comportamentais [the History Museum of Behavioral Neuroscience]. The site features a digital collection of scientific instruments connected to the history of neuroscience, particularly behavioral neuroscience, in Brazil. It likewise highlights several key researchers who contributed to the development of behavioral neuroscience in Brazil. The site has emerged out of work Dr. Rodrigo Lopes Miranda initially completed while on an internship at the Cummings Center for the History of Psychology in Akron, OH in 2013. The Museu de História das Neurociências Comportamentais was created while Miranda was completing a Postdoctoral Fellowship at the University of São Paulo. Co-editors on the project include Silvana Delfino and Nadia Iara Ramiris Maronesi, under the supervision of Drs. Anette Hoffmann and Marina Massimi. The Museu de História das Neurociências Comportamentais will be of particular interest to those interested in scientific instrument collections and will make for a great online resource for both historians of psychology and their students alike. If your Portuguese is on the weak side, do not despair! You can use your browser settings to translate the pages to your language of choice (Google Chrome makes this particularly easy – see instructions here). The Museu de História das Neurociências Comportamentais has plans to continue growing and contributions to the site are welcomed. To submit a photograph of an instrument, laboratory space, or researcher connected to the history of behavioral neuroscience in Brazil, contact hnc.usp@gmail.com with a description of the person or object featured in the image, the name of the institution to which it is connected, and any references or links you would want included with the entry (You can download the contribution form here). 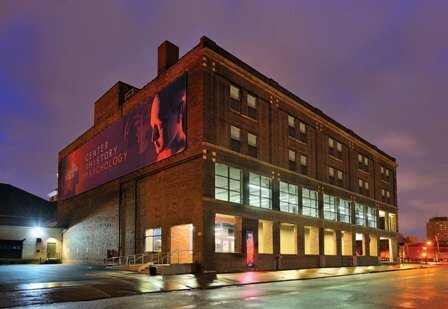 The Center for the History of Psychology at The University of Akron, which houses the Archives of the History of American Psychology, a Museum of Psychology and hosts public education and outreach programs, will be closing to all researchers from September 1, 2015 through September 1, 2016 to undergo major reconstruction. Thanks to a $3.5 million dollar gift from Drs. Nicholas and Dorothy Cummings, the renamed Cummings Center will include a substantial renovation of the museum, a new library and offices for visiting scholars, as well as an endowment for an associate director. Currently, the museum only displays a small fraction of the holdings that have been donated to the center, a situation which will be rectified through its expansion from 1,800 to 8,500 square feet. We are highly anticipating these exciting developments! Also, if you have immediate need to access the Center’s materials for your research, be certain to do so during the summer before their temporary closure!